Put your stitching in its place! These special water-soluble, adhesive-backed sheets allow you to skip the fabric marking step. Once your design is printed on the sheet, you can position (or reposition) it right where you want it for sewing through—perfect for embroidery, machine quilting, crazy quilting, appliqué, and more. 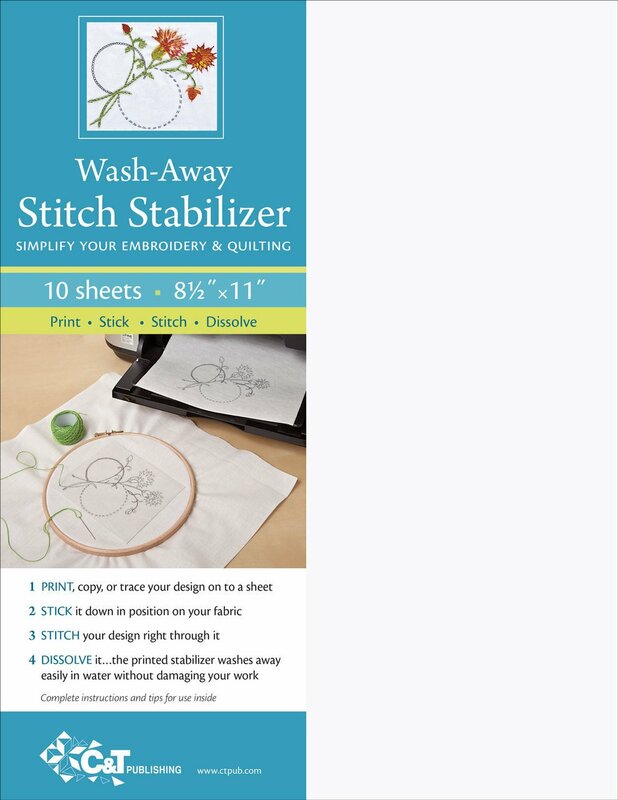 It protects delicate fabrics, supports dense embroidery patterns, and stabilizes “hard to hoop” pieces like cuffs and collars. Simply print, copy, or trace your design on to a sheet, stick it down in position on your fabric and stitch right through it. Then just wash it away…the printed paper dissolves easily in water without damaging your work.